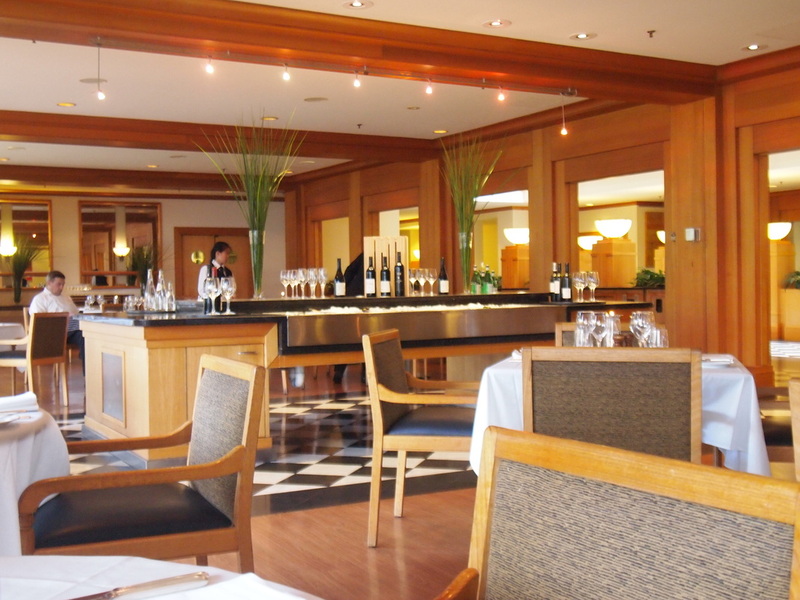 The Promenade Cafe is a stylish restaurant hidden away in the heart (or should I say "le ventre"...) of the Park Hyatt Hotel in Canberra, the best 5-star hotel in town. President Obama stayed there for one night during his recent (and very short...) trip to Australia. I was there the following night...The Art Deco architecture dating back to the 1920s has been carefully renovated and provides a stylish backdrop for a business lunch, a romantic dinner or a celebration of the new season asparagus! One of the Canberra region best wineries, Lerida Estate on the shore of Lake George - and housed in one of the most minimalist Glenn Murcutt structures - were the sponsor of the evening, sharing with the Chefs - Jiju Rajappen, Chef de Cuisine, is now in charge of the Private Club, and Executive Chef Walter Junger - the difficult task to pair the food on a well constructed degustation menu with a large array of the winery's production. 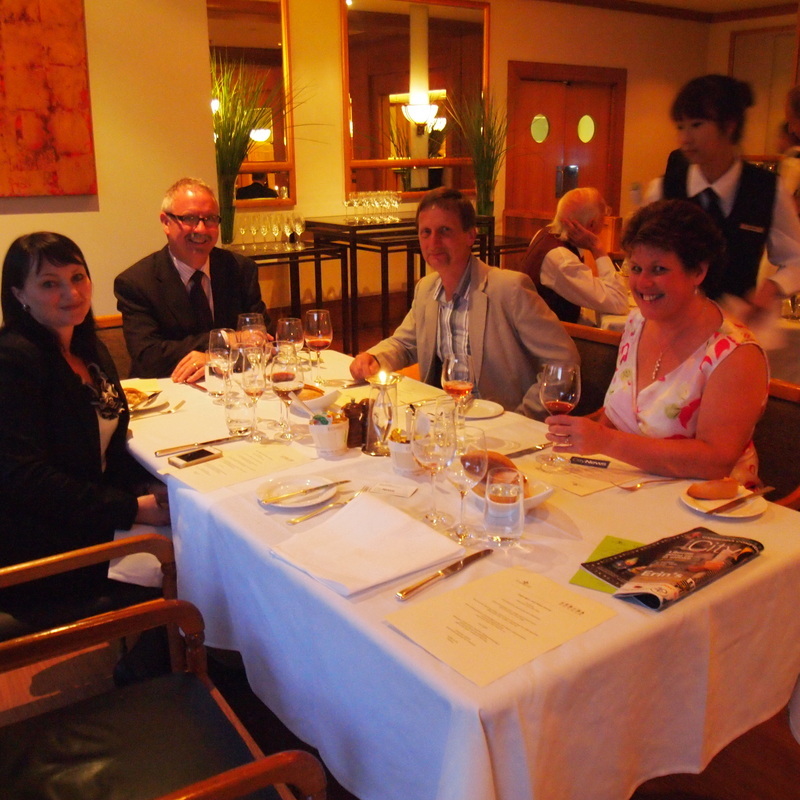 The lot was priced a ridiculously low 120$ INCLUDING the wines, which were served generously all throughout the dinner. 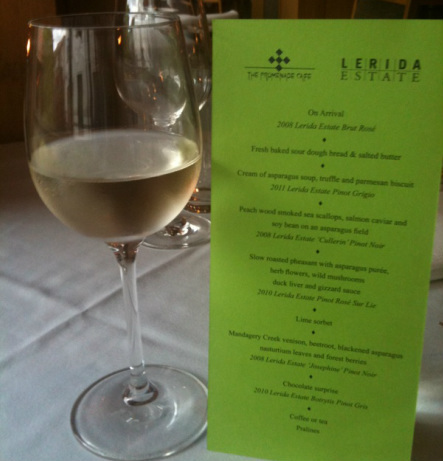 Jim Lumbers and Anne Caine established Lerida Estate in 1997 and in 2005 appointed a full-time winemaker, Malcolm Burdett. Jim, Anne, Malcom and his wife Cathy were all in attendance. I had the pleasure and privilege to share a table with Malcom and Cathy as well two other journalists Greg Jones and Mara, who happens to be Jiju's wife! It made for great conversation, with an added twist, as Malcolm is vegetarian (definitely no meat in wine!!!) and English, not the best heritage to grow vines, but he trained as a Chef, so it is all good! Lerida Estate has a tradition to invite a young French winemaker every year for the "vendanges". By the way, to be in tune with the 'heritage" look of the Hyatt Hotel, I have chosen to set my Olympus E-PL1 as a 6x6 camera, pretending to be an old Rollei, one of the cameras I trained with when I was a teenager (my first real camera was a "third-hand" 6x9 Voigtlander that belonged to my Dad and my grandfather before...). I hope you enjoy this vintage format! We were barely seated that we were proposed with a flute of 2008 Lerida Estate Brut Rose. "An intriguingly complex sparkling wine made from 75% Pinot Noir and 25% Chardonnay grown at our vineyard at Lake George. It shows an attractive orange pink colour with a fine persistent bead. The bouquet is complex from the mix of primary fruit characters (peaches, pears & cherries), plus biscuity, bready characters. 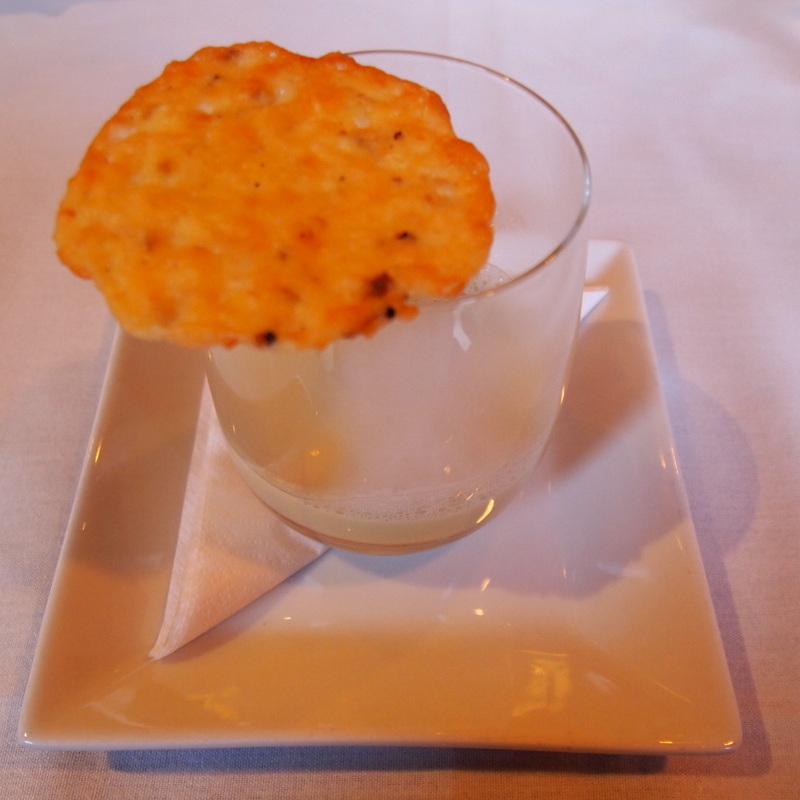 The palate is rich and flavoursome balanced by crisp acidity." 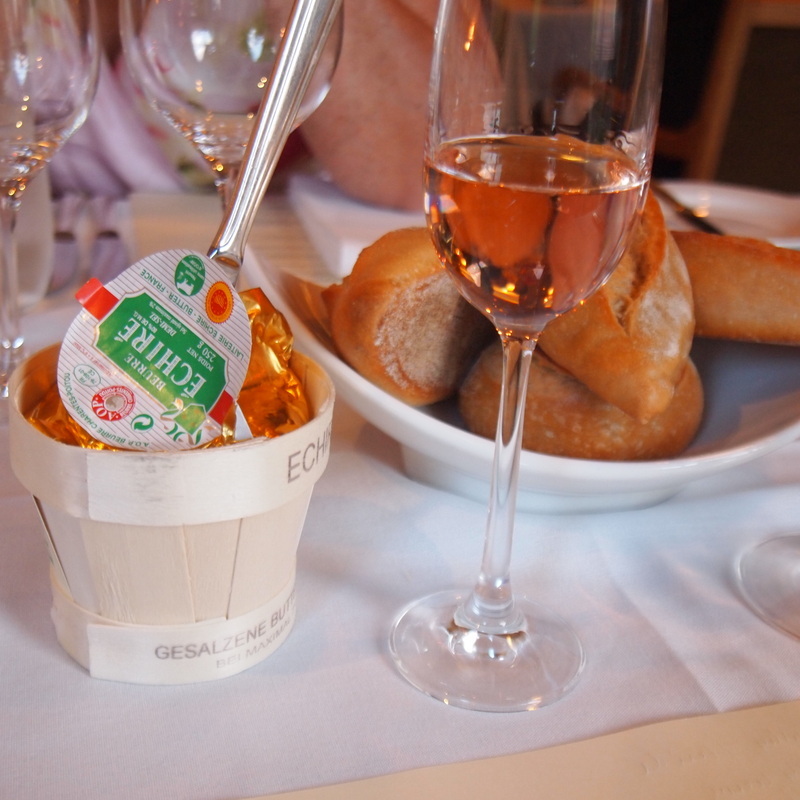 The home made bread and the butter from far away Echiré in the Marais Poitevin in the west of France were a delicious counterpoint to this refined and elegant non Champagne. 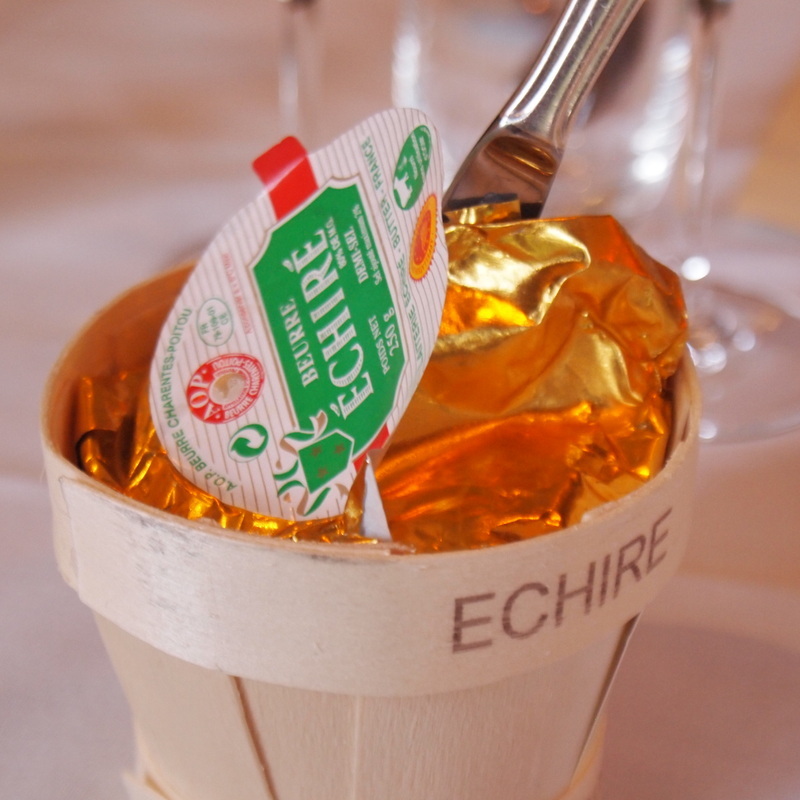 My uncle used to own a "moulin a eau" in the middle of the river near Echiré, so I had my fair share of that butter over the years and it is quite a treat to be able to get it ere in the Antipodes! 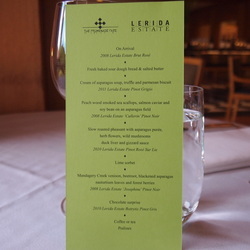 The smoothness of the soup, the crackling of the biscuit and the lovely 2011 Lerida Estate Pinot Grigio were a very good start to this asparagus adventure. "This wine is made from Pinot Gris grapes grown at four vineyards in the Canberra District (including Lerida Estate). On the nose, it shows honeysuckle, violets, apple, pear and citrus aromas. The palate is rich and flavoursome with a long citrusy finish and some savoury characters"
what a beautiful combination of flavours. 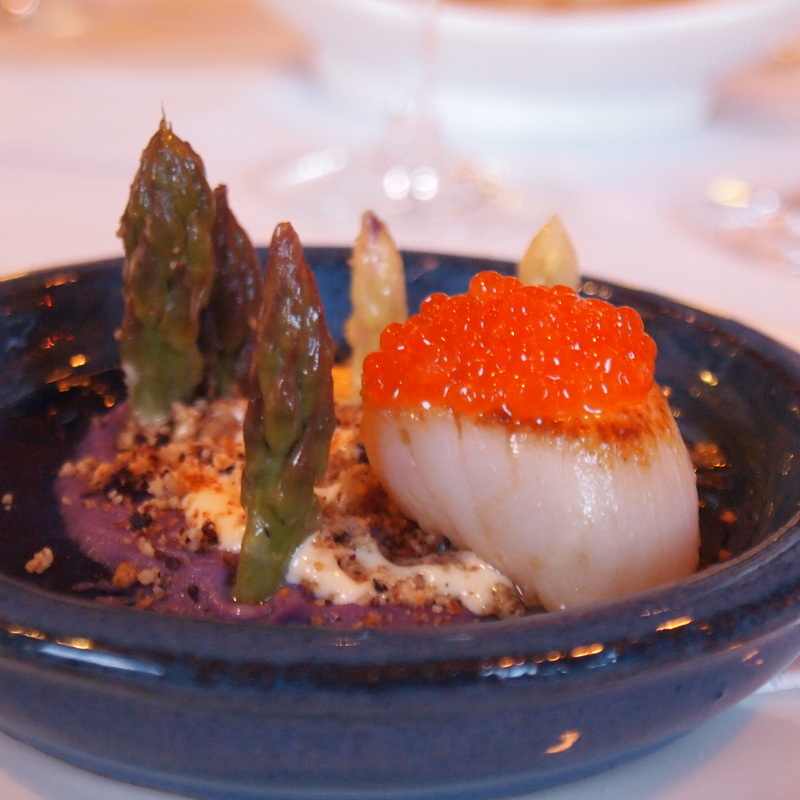 If you have followed this blog for a while, you willl know that I am a great fan of the scallop, and usually my preference is for the simpliest of treatment, not to tamper with its delicate texture and taste. It is a great achievement to manage that mix of saveurs, a bit like a slow motion firework, each flavour revealing itself over time. There is no way you can eat this quickly - you have to almost imagine the taste of the next mouthfull before you can dig it! The 2008 Lerida Estate "Cullerin" Pinot NoirThis " was selected for a more fruit driven style of Pinot Noir with 20% new wood giving a softer finish. The aromas are of red cherry, mulberry, gamey and savory with a slight overtone of vanilla. The palate is soft and rich backed by silky, textured tannins on a long finish". Very silky indeed! elusive spicy and cedar notes. All grapes are from Lerida Estate"
A superb Rosé, quite complex, light at first, but with good body in the end. I would have liked to try it with the Scallops...call me old fashioned if you want! 2008 LERIDA ESTATE "JOSEPHINE" PINOT NOIR"
﻿This dish triggered a great discussion about why we use the generic term "venison" for deer, where earlier in the meal "pheasant" was named rather than the generic term "game". Are we not game enough to eat deer, or wild boar for that matter, rather than venison? Malcolm had none of it anyway, as he stuck to more asparagus in cream and various other nice treatments. So, we had this lovely chocolate tart, white chocolate ball and chocolate sauce instead, not a big surprise, but certainly a very good tasting one, so thanks Mr President for your low level interference! "This is an immediately flattering sample, honeyed, and there is a suggestion of oak coming in here to bolster this. The palate has great weight and breadth to it, the impact in the mouth very confident and successful. Rather polished, quite grainy at its core, showing an impressive depth of texture which must hark back to the vintage. And there is a lovely spicy element to the sweet, tropical fruits here"
Anne, the owner of Lerida Estate, and Jiju, the Chef de Cuisine concluded the evening by thanking us for coming. We were probably a bit tired and tipsy to give them a standing ovation, but they certainly deserved one! This will remain in my memory one of the most interesting dinner I had, definitely the best I had in Canberra, and I have been coming here for a dozen years or so! 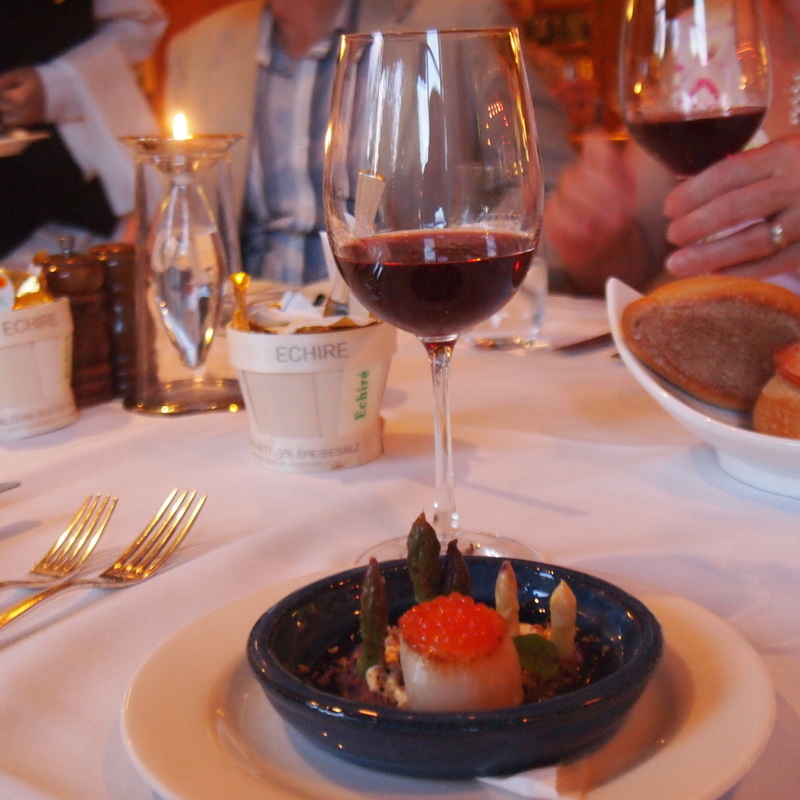 In any case, I greatly enjoyed the setting, the company, and the food and wine bien sur!